A lot of people believe that rain makes our windows dirty. Many a homeowner has looked out a window after a storm has passed and frowned, looking through spotted, drab glass, assuming the rain made the mess. The truth is, rain alone is not the real culprit making your windows dirty. As expert window washers in Chicago, we know that the story is a bit more complicated than that. Rain water itself is actually very clean, and in some places window washers harvest rainwater and use it to clean windows. So, if rain isn’t the main culprit, what turns our windows into spotted eyesores? There answer is several things you might not expect. Believe it or not, those screens protecting your windows are really more to blame than the rain itself. While screens are necessary and helpful, they can also be the biggest problem that a clean window will face. Screens prevent dirt, pollen, pests and other debris from damaging our windows, but rain complicates things. As rain passes through the screen, it grabs debris and slams it against the glass, and when the water dries you have an unsightly, dirty window. 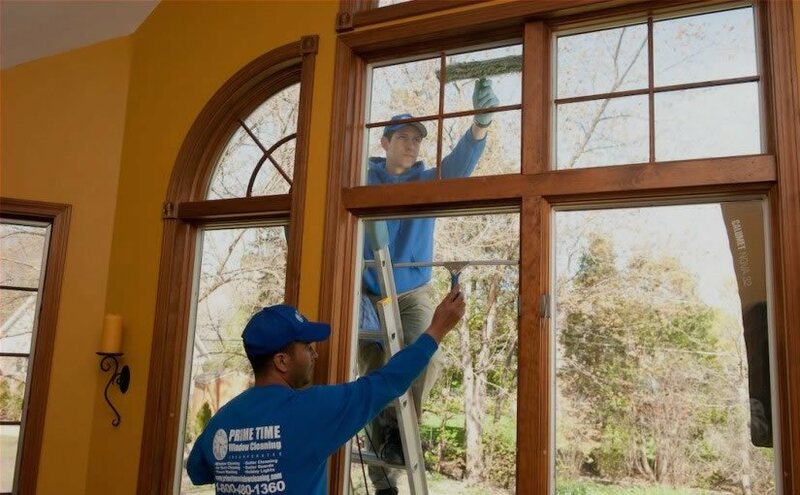 When you get your windows cleaned by window washers in Chicago, like Prime Time Window Cleaning, our technicians will make sure your screens are cleaned, too. Not every window cleaner does that, but we know it’s absolutely essential. The environment also contributes to dirty windows, especially in highly industrialized areas where acid rain becomes a real problem. Acid rain is caused by emissions of sulphur dioxide and nitrogen dioxide mixing with water in the atmosphere to produce acids. If you live in an area where a lot of carbon dioxide or other chemicals are released into the atmosphere, rain can become a problem. Acid rain can have harmful effects on plants, aquatic animals and on your windows as well. 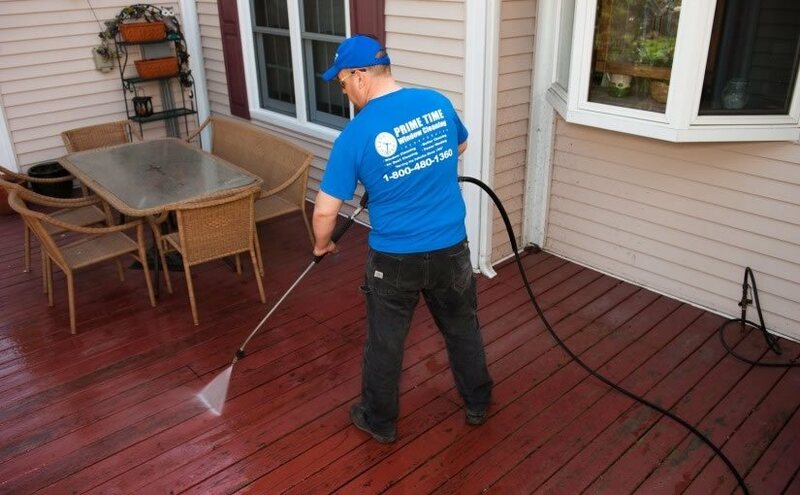 You may never have thought of it, but homes located near busy streets and highways will have more dust and dirt collecting on their windows and will need more frequent cleaning. Whatever the source of your dirty windows, if you want the services of experienced window washers in Chicago, you need to contact Prime Time Window Cleaning. Call us at 800-480-1360 to schedule an appointment. Our technicians will have your windows spotless in no time!